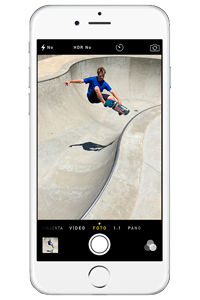 The iPhone 6S is considered by many to be the best smartphone on the market. It is still hard to believe it was possible to improve the iPhone 6. New Force-Touch technology, a superior camera and a new colour, rose gold, are just a few of the upgrades to this model. With a 4.7-inch screen it still fits comfortably in the palm of your hand and with Force-Touch technology you can do so much more just be altering the pressure with which you move your finger across the screen. Now that the iPhone 6S is yours, you’ll want to take it with you wherever you go. To do that, the iPhone must be unlocked so you can use it on any network in the world. Unlocking your iPhone 6S with doctorSIM is quick and easy. Send us a few details about the iPhone and we’ll send you by e-mail simple step-by-step instructions on how to unlock it by connecting to iTunes. 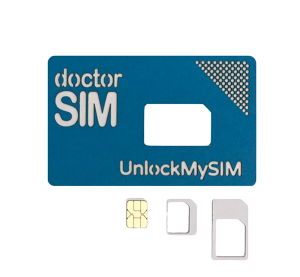 doctorSIM unlocks phones using the IMEI method, which is the only method that doesn’t damage or void the warranty of the iPhone. It is also perfectly legal! The unlock code supplied will permanently unlock your iPhone 6S and will never relock even if you update the software or reset the iPhone to factory settings. If you are unsure if your iPhone is unlocked, request a Locked/Unlocked Status Check. We'll then search in the official Apple database and then confirm to you if your device is locked to one network or unlocked for use on multiple networks. Unlocking iPhone 6S with doctorSIM is rated 4.8 out of 5 based on 54 reviews .